Alwin is a Wakamin man from Far North Queensland and is currently an Associate Research Professor with the Australian Centre for Child Protection (ACCP) at the University of South Australia. He previously worked at Yaitya Purruna Indigenous Health Unit at University of Adelaide. Yaitya Purruna was established in 2000 to provide support for all Aboriginal and Torres Strait Islander students studying in the faculty. Since 2000, Yaitya Purruna has expanded this initial role to now include collaboration with Wilto Yerlo, Centre for Aboriginal Education, and conducts research and teaching within the School of Population Health. Alwin is a respected Aboriginal leader and advocate for Aboriginal health research that is culturally equitable. He is passionate and committed to his work, and well known throughout the nation for his advocacy and dedication. Alwin initially moved from Queensland to South Australia in 1988 to study at the University of South Australia and on completion of his degree began work as a teacher and researcher at that university. In his nine years at the University of South Australia he did extensive research into and promoted Indigenous management practices, and collaborated with several academic colleagues who had incorporated Indigenous management practices into their teaching modules. For over 10 years he then worked at the Aboriginal Health Council of SA Inc. (AHCSA) as Senior Research and Ethics Officer. One of the major responsibilities of his position was the development and implementation of a research agenda that identified Aboriginal and Torres Strait Islander community research topics rather than academic driven research topics - a process of identifying and prioritising issues within communities that researchers were able to target, thus enabling research projects to have more beneficial outcomes for Aboriginal people. An essential component of the position was the management of the Aboriginal Health Research Ethics Committee (AHREC), a sub-committee of the council and the peak ethics body for Aboriginal health in South Australia. 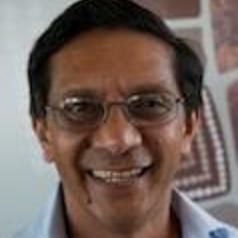 In 2011, Alwin worked with Menzies School of Health Research as the Indigenous Strategy and Development Coordinator in Darwin and then returned to AHCSA as the Transition Manager for the Hills Mallee Southern Region Aboriginal Community Controlled Health Service, coordinating and implementing agreed recommendations from a plan to guide the establishment of new Aboriginal Community Controlled Health Services (ACCHS). Alwin is currently an active member of the Lowitja Institute, as Program Leader for the Cooperative Research Centre for Aboriginal and Torres Strait Islander Health (CRCATSIH) Program 2 - Healthy Communities and Settings. He is regularly invited to review papers, funding applications and attend workshops and roundtables as program leader. Alwin is a former member of the Department of the Health Human Research Ethics Committee (HREC), the Royal District Nursing Service (RDNS) Ethics Committee and the National Health and Medical Research Council (NHMRC) HoMER Aboriginal Sub-Committee. He was also a Ministerial appointment to the South Australian Health & Medical Advisory Council.